Households in Victoria could save hundreds of dollars on their annual electricity costs, simply by contacting their provider and asking to be moved onto a different contract. Canstar Blue research shows there is a huge difference in average costs between standard offer and market contracts, with households on the former splashing out up to $670 a year more than they need to. 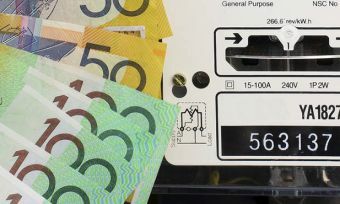 “It’s crazy to think that some households are spending huge amounts more than they need to on electricity simply because they are stuck on old, expensive standing offer contracts,” said Canstar Blue Editor Simon Downes. “Despite the fact that Victoria has a hugely competitive energy market, some customers have been left behind and are not benefiting from the lower rates available with market contracts. “The saddest thing is these are likely to be elderly people or those who are just not aware of the options available to them. “There is understandably a perception that switching providers is a difficult and confusing task, but you don’t even need to switch to cut hundreds of dollars off your bills. According to the Essential Services Commission, one in ten households in Victoria remain on standard contracts. With terms set by the energy regulator, standard contracts are ongoing, have flexible billing options and provide a choice of payment methods. However, they do not have any discounts available to reduce costs. Market contracts, on the other hand, have prices set by the electricity retailers, have varying contract lengths and specific benefit periods for discounts. Market contracts are almost always cheaper than standard contracts, provided the conditions of the discounts are met. However, even some non-discounted market plans results in cheaper prices than standard offers from the same retailer. The following table shows what customers with nine different providers in Victoria could save by switching from their standard contract to their leading market offer. Costs are based on average energy usage for five-person households and market offer costs are after conditional discounts have been applied. Prices based on average energy usage for five-person households on the Citipower network. Market offers used are highest discounted plans from each provider. As the table shows, huge savings are possible without even having to switch electricity providers. However, it’s important to understand that these savings are only possible if you stick to the specific conditions of your plan, such as paying bills on time, by direct debit, or for receiving bills via email instead of post. Failure to meet these conditions could mean you end up paying substantially more and incur a fee. In some cases, customers who fail to meet the conditions of their market offer could end up paying even more than those on standard contracts. “It’s often the case that the energy plans with the highest discounts also have the highest usage rates, which largely negates the overall savings customers can make. Therefore, if you don’t have confidence that you’ll be able to meet the terms of your market contract, look for the plans with the cheapest rates, rather than those with the highest discounts,” said Mr Downes.